Zimbabwe’s MDC opposition leader, Nelson Chamisa has lodged a last minute court challenge to overturn the results of presidential elections that he alleges were rigged to ensure victory for Robert Mugabe’s successor, Emmerson Mnangagwa. The case was filed Friday and the immediate casualty was Mnangagwa’s inauguration scheduled for on Sunday. It was immediately postponed until the court makes its ruling. The MDC legal team arrived at the court less than an hour before it closed on Friday, the last day that the petition could be lodged. 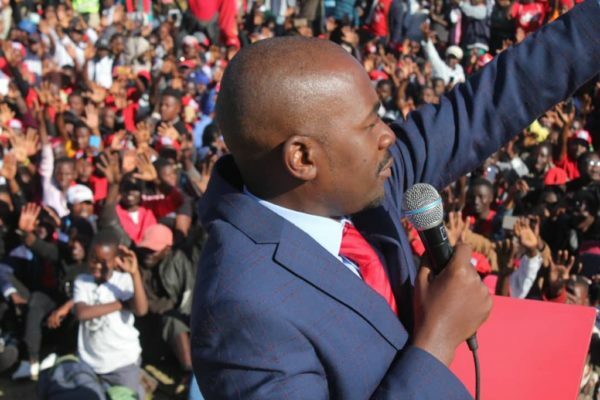 Both Chamisa and his party Movement for Democratic Change (MDC) accused the ruling ZANU-PF party and the election commission of ballot fraud in the July 30 vote, Zimbabwe’s first poll since the ousting of Mugabe in November. Mnangagwa, who is seeking to reverse Zimbabwe’s economic isolation and attract desperately-needed foreign investment, had vowed the elections would be free and fair, and would turn a page on Mugabe’s repressive 37-year rule. Judges have 14 days to rule on the case, and could declare a winner, call another election, or order a run-off or recount, according to the Veritas legal group. “We’ve managed to place before the court forms that show the (results) figures were erased,” MDC party lawyer Thabani Mpofu told reporters.